Time to Take Over the Fukushima Daiichi Nuclear Plant? It’s been almost 2½ years since the disaster at Fukushima No. 1 (Fukushima Daiichi) nuclear plant commenced, but the precarious condition of the nuclear plant remains a constant fixture in the news. A sentence that has been reappearing in stories in recent months has been some variation of “the incident has brought the Fukushima plant’s vulnerable state into sharp relief” (New York Times, July 18). The problem is that “the incident” being referred to could be one of many: a rat causing a power outage, radioactive water leaking from storage tanks, steam being emitted from one of the reactors or, most recently, confirmation by Tokyo Electric Power Co. that contaminated water is escaping into the ocean. Fukushima No. 1 seems to lurch from one problem to the next as Tepco struggles to bring the situation there fully under control. 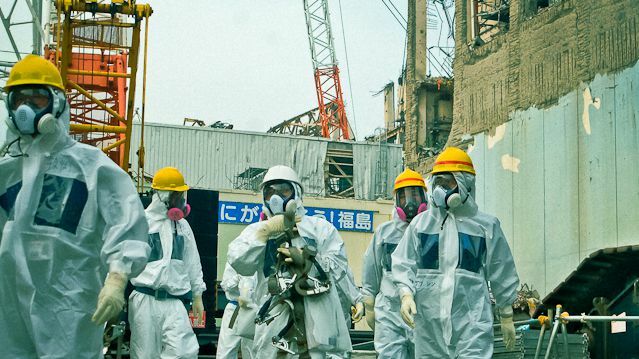 When this litany of recent issues is combined with the company’s checkered safety record and its deeply flawed handling of the 2011 nuclear accident, there should be serious doubts over Tepco’s ability to continue managing the damaged plant. Japan’s Nuclear Regulation Authority (NRA) has just adopted its new regulatory standards, leaving the way open for offline reactors to be examined and potentially approved for restarts. Already four utilities have applied to have 12 reactors checked, with more applications expected. 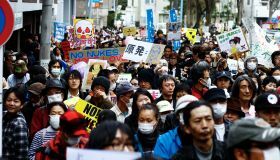 With Prime Minister Shinzo Abe and the Liberal Democratic Party having won big in the Upper House elections, it is likely that calls for speeding up a return to nuclear power will become louder. The NRA must manage being sufficiently rigorous to ensure its own credibility while being conscious of the mounting political pressure to restart reactors. This is made all the more challenging by the NRA having a small workforce, with a staff of only 80 people to assess these applications and around 500 people in total. Given the NRA’s limited resources, it must be asked if it is wise to spread them so thinly. A real danger is that it will result in both tasks — monitoring the Fukushima plant and assessing restart applications — being completed at a substandard level. The Fukushima plant may have technically achieved “cold shutdown”, but it is far from being stabilized. Tepco is not able to properly assess the state of the melted fuel that remains in the damaged reactors, and they have yet to begin removing the fuel rods from No. 4 reactor. Tepco and the NRA are still struggling to find a solution to the ongoing problem of the spread of contaminated water. When the situation is so bad that Shunichi Tanaka, the NRA chairman, is stating in a press conference, with regard to water leaks, that “if you have any better ideas, we’d like to know,” it should be clear that Fukushima No. 1 still requires the upmost attention. It would be wise for the NRA and the Japanese government to invest more resources and exert more control in dealing with the situation there. At what point should it intervene and directly take control of Fukushima No. 1? How many more incidents and issues are acceptable before enough is enough? How much longer should Tepco’s apologies for “any inconvenience caused” and their assurances that “everything is under control” be accepted? Considering that the Japanese government has already taken control of much of the company, there is little to stop it taking the next step and putting the Fukushima plant directly under the NRA. If the NRA is serious about differentiating itself from its predecessors, it should not repeat the same mistakes. This recent series of incidents should be the canary in the coal mine telling us that Fukushima No. 1 remains vulnerable and unstable. Considering that Japan has been more seismically active since the 2011 earthquake, there remains a real risk that another disaster could strike the already damaged plant. Japan cannot afford the luxury of relying on best-case scenarios; it must prepare for the worst. This means preparing for the possibility that more things could go wrong at Fukushima No. 1. Indeed, recent incidents suggest that the chances of more problems are very high. It is important this lesson is learned. Rather than relying on Tepco and a bare bones staff of regulators, it is time for the NRA and the Japanese government to seriously consider directly taking control of Fukushima No. 1. This certainly would not be an easy decision, but safety must be given priority ahead of political considerations. Instead of rushing toward restarting reactors, Japan should heed the warning signs at Fukushima and focus on stabilizing the situation there first. This article first appeared (as “Time to take over Daiichi?“) in the Japan Times on 26 July 2013; reprinted with permission. 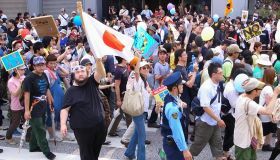 Rebuilding Democracy after Japan's "Triple Disasters"